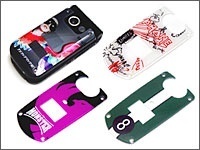 Improving efficiency of promotional item production processes. 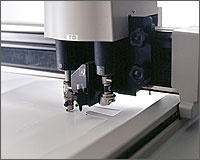 Mimaki flatbed cutting plotter improved work efficiency remarkably, and business inquiries were increased to 200. 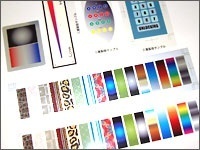 Finding the optimum UV curable inkjet printer for small-lot production. UJF-605C provides multi color printing in a small lot at a lower cost than that of screen printing. 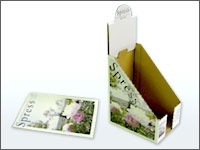 In addition, much eco-friendly printing method. 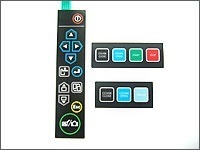 Finding the printer that can be used for product package color proofing. An accurate color representation of UJF-605R brought smooth color proofing and high customer satisfaction. 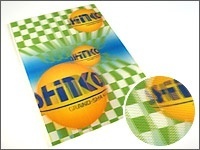 To express a variety of image designs, all printing methods should be employed. 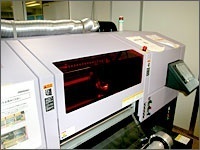 After installing UJF-605C, the company learned a possibility of UV-curable inkjet printer. Especially white ink, this color extends a range of print designs. Reducing the cost and time of name plate sample production. 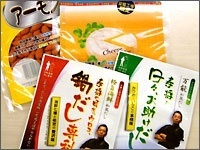 Plate-less digital inkjet printing method achieved efficient production for small-lot production. Finding the printer that can be used for color proofing for aqueous rotogravure printing. Product printing method was switched to aqueous rotogravure printing after installing UJF-605C/605R as color proofers.